Use Hike as your Xero POS and seamlessly sync all retail transactions data with your accounting software. Automate financial reporting, save time and reduce your administrative costs. Automatically post your sales orders, purchases, customers, supplier details and payments to Xero. Only one batched payment invoice is posted to Xero upon closing register, making reconciliation easier. Record ‘on account’ sales in Hike and get automatic payment updates from Xero when payments are reconciled. Post account sales to Xero with payment pending status along with payment due date. Account payments reconciled in Xero are automatically posted back to Hike. When you sync sales invoices, Hike will also send customer profiles and/or customer profile detail updates to Xero. Sync daily sales totals and receipt summaries by payment type. Send all cash movement details to Xero including receipts, refunds, opening cash, cash deposits, withdrawals and closing float balances. Sync all purchase orders recorded in Hike to Xero so you can track amounts payable to suppliers in Xero. Sync supplier profiles and profile updates with Xero. Post gift card liability to Xero when a gift card is sold. Liability adjustment is then sent to Xero when the gift card is used to pay for a sale. Post recorded loyalty points expenses and liability adjustments to Xero. Provide standard account codes for sales, purchases and inventory in Xero when you activate the integration. If you need these to be different for certain products, you can also apply different account codes for individual products. Xero has everything you need including invoicing, bills, custom tax rules, reports and payroll. Just like Hike, Xero is on cloud so your accounts are available anytime, anywhere using PC, Mac, tablet or even phone. Save time with Xero’s automated bank feeds. Reconciliation takes minutes, not hours. 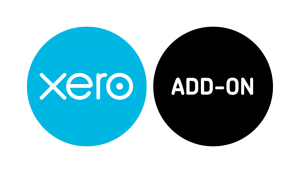 Xero allows multi-user access to help you collaborate up-to-date numbers with your team and accountants. Talk to our team or get in touch with Xero to get your terminal.